The Conservation Statement was commissioned by NELC, in consultation with ABP. The report was prepared by Liz Humble (Heritage Consultant, Purcell Miller Tritton) on behalf of NELC. Andy Pearson, (Managing Director, Star Refrigeration’s Contracts Group and an Associate with Star Technical Solutions, the consultancy arm of Star Refrigeration Ltd), provided technical advice on the refrigeration equipment and plant within the Ice Factory. The first draft was distributed to NELC, ABP, and English Heritage for consultation in September 2010. It was updated to reflect any comments and a final report produced in November 2010. NELC will hold copies and distribute upon request to necessary parties for use after final adoption. The report summarises and develops the architectural investigation report produced by English Heritage (2001), the measured survey by Hodson Architects (2009) and Appraisal of the Existing Structure by Alan Baxter & Associates (2010). The aim of the Conservation Statement is to understand the significances of the Ice Factory and its ice making machinery. 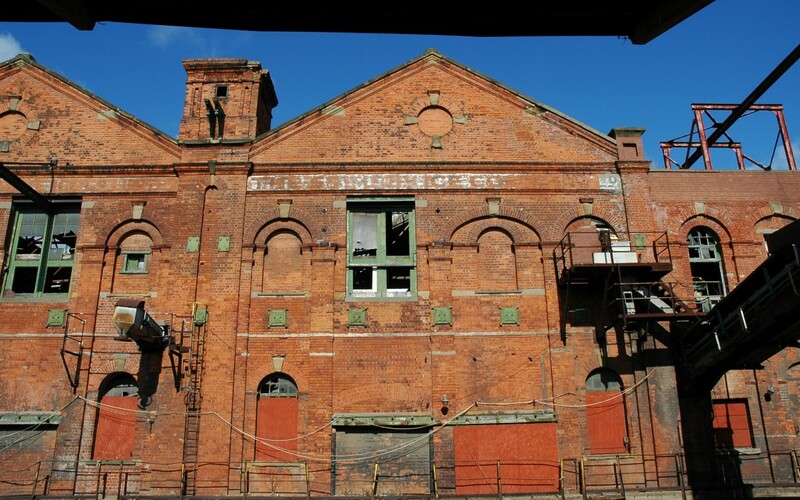 The report notes that the Ice Factory was built by the Grimsby Ice Company (which later transferred ownership to a sister company, the Grimsby Exchange Limited, in the late 1970s) on land held on various tenancies from the Railway Company that owned the Port in the early 1900s. The Railway Companies and the Grimsby Docks area under their ownership had been nationalised in 1947 to become part of the British Transport Commission (BTC). In 1963 the Docks were split off into the British Transport Docks Board (BTDB) which became Associated British Ports in 1983. ABP inherited ownership of the Ice Factory in August 1990 when the tenancies of the Grimsby Exchange Limited were all terminated after ice production ceased in July. There are four Listed ice factories in England of which the Grimsby Docks Ice Factory is the only Grade II* example. The remaining ice factories, are all Grade II Listed. A three storey ice factory in Bridgegate, Barnard Castle is now a workshop and garage. A four storey ice factory and cold store in Digbeth, Birmingham was built in 1900 for the Linde British Refrigeration Company. No ice making machinery survives. The third ice factory is part of a larger site in Padstow. It is not clear how much of the Ice Factory survives. In Wales, the Swansea Ice Factory survives as a building although no equipment is in place. Planning Policy Statement 5 (PPS 5) sets out Government policy on how the historic environment should be considered during, the planning process. Heritage conservation is recognised as being integral to the overriding aim of planning; the more significant the asset the greater the presumption in favour of its conservation. PPS 5 also emphasises the importance of continued viability and the change needed from time to time to facilitate that. Where a planning application will lead to loss of significance local planning authorities should refuse consent unless it can be demonstrated either that public benefit outweighs the loss or there is no viable use of the site and conservation through grant-funding or some form of charitable or public ownership is not possible. Local planning authorities must make the applicant show evidence that potential owners or users of the site have been sought, that reasonable effort has been made to seek conservation grant funding and charitable or public authorities willing to take on the heritage asset’. Planning permission is almost always required under Section 55 of the Town and Country Planning Act 1990 for any development of land. Planning permission only is required for development affecting the setting of Listed buildings.Listed building consent is required for works affecting the special character of the Listedbuilding..
ABP is a Statutory Undertaker and has Permitted Development Rights ( Part 17 Class B of Schedule 2 of the Town and Country Planning (General Permitted Development) Order 1995. This gives ABP the right to carry out development on operational land in respect of any dock, pier, harbour, water transport, or canal or inland navigation undertakings so long as they are required for the purposes of shipping or movement of passengers, livestock or goods at a dock, pier of harbour. Any development not related directly to the above would require planning permission. Works that affect the character or appearance of the structure, works such as re-pointing and even repainting , even if planning permission is not necessary, brick / stone cleaning, works of demolition or removal. The report illustrates that understanding of the history and development of the building is an ongoing process which would not be furthered by demolition. The report finds that the Ice Factory buildings have a generally high significance and the ice making machinery an exceptional significance. Ice factories are a rare and little examined historic building type. This is a very rare,and substantially complete, example of a 20th century ice production factory. The Ice Factory illustrates Grimsby’s importance as the world’s foremost fi shing centre in the early 20th century. The Ice Factory is understood to be the earliest remaining purpose built ice factory in England, the largest ice factory in England in the early 20th century (and according to a 1933 article in Nature magazine the largest in the world). The report also notes that it is held in suffi ciently high regard by the local civic society for some members and othernon-members with an interest, to form a new trust – the Great Grimsby Ice Factory Trust(Great GIFT) – to preserve the Ice Factory. The primary ice making machinery within the Ice Factory buildings has an exceptional significance. The four J & E Hall ammonia compressors installed in the Compressor House in 1931 are probably the oldest, and the largest, to survive in the UK and possibly also Europe. They are considered to be of international interest. English Heritage advisor’s report gave the reasons for the upgrade from Grade II to Grade II* in 1993 for the site being the earliest surviving (purpose built) ice factory in the UK and the only one to survive with its machinery. The reciprocating compressors by J & E Hall and slip ring motors by Metropolitan Vickers are excellent examples of this industrial equipment, and probably unique in their size and age. The J & E compressors (1931) are rarer than most of the other equipment and thus of exceptional significance. The fifth machine from the early 1950s was perhaps no longer in production and was manufactured from old drawings and parts to match the previous ones. This is the only example ofcompressors of their size in their original location of which we are aware. The equipment in the 1901 Tank House related to the primary component of ice making such as the ice cans are of exceptional importance, other more ancillary elements including the handling, crushing and convoy of ice is of general public interest and moderate significance. As a Grade II* Listed building, the Ice Factory – including all its fixtures and fittings – are of national significance falling within the top 6% of Listed buildings. Thus the overall significance of the site is exceptional.. The buildings and (to a lesser extent) the machinery within, are in a poor and deteriorating condition requiring considerable funding to repair and conserve, and future uses of the site would need to respect its industrial, architectural, historic significances. The Ice Factory is situated within a working Port and is located on Port Operational Land in use for cargo handling. Consequently any redevelopment project that could result in the building being opened to the public is made very difficult for reasons of health and safety and operational security and effi ciency. The Port has to operate in line with the International Ship and Port Facility Security Code (ISPS). Control of access to the eastern areas of the Port has been improved in recent years to comply with the ISPS Code. ABP own the whole of the Docks and access is required for tankers, HGVs and so on as part of port activities requiringroad access. The current use of the Port Operational Land in the immediate vicinity of the Ice Factory is considered to adversely impact on the setting and character of the historic buildings by partially masking them from public view, particularly the lower parts of the buildings. The location should lend itself to open public access being close to public transport routes and town infrastructure which in some ways is assisted by the recent changes to the road layout. There is little prospect of making any part of the machinery / plant functional for museum or specialist interest purposes at a reasonable cost and in a manner which retains their authenticity. Apart from the difficulty of sourcing spare parts and the cost of operation it should be noted that the facility would not comply with current CEN safety standards (introduced in 2000 and revised in 2008), and to make it compliant would mean that it would not look authentic. It would also not be possible to provide public access to the Compressor House or other areas if they were in operation for health and safety reasons. Commission an options appraisal to examine the feasibility of various uses informed by this report and the Appraisal of the Existing Structure. The 1910 building is a shell which should be amenable to conversion for alternative appropriate uses. Under the dirt and mess much of the basic mechanical equipment seems to be in relatively good shape given the environmental conditions . It could be restored to a presentable condition relatively easily. Fortunately the video record taken in July 1990 gives a clear picture of what the Compressor House looked like. The supervisor’s office and Engineers office in the Compressor House have been comprehensively damaged. However, it would be relatively easy to recreate these rooms as they are lightweight wood and glass partitions. The equipment in the Condenser Room (the condensers, high pressure receivers and Drysdale pumps) could be cleaned and painted to make them look operational. The ammonia pump stations, could be restored visually, although not functionally, but in their working condition they were completely covered in insulation and therefore not very interesting to look at. The ice harvesting area with the draining boards, conveyor and ice crushers, are better preserved at ground floor level than fi rst fl oor level where weather damage is more severe and could be repaired. The buildings have a large floor area which increases their suitability for a range of uses. The buildings have a large open space around them, following the alteration to the road layout, and this would be suitable for ancillary needs such as a car park. Multiple funding streams and sources are likely to be required and it may be possible to linkwith other regeneration initiatives in East Marsh and Freeman Street as part of a regeneration plan. Commission a feasibility study and options appraisal to investigate possible future uses. Negotiate with ABP to repair the buildings with some removal of machinery in order to foster an alternative appropriate sustainableand viable use in relation to the feasibility study and options appraisal. Investigate the feasibility (including problems and costs) of separating the Ice Factory from its immediate setting as Port Operational Land and the likelihood of selling the IceFactory as a separate entity which may increase the range of future options for reuse. Allow targeted consultation between the owners, English Heritage, North East Lincolnshire Council and funding bodies to assess what funding streams are available and how relevant these may be to the needs of the site. that the site retains its significance. Despite the challenges ahead, given the unique nature of the Ice Factory and its important significance, this Conservation Statement recommends that every effort should be made to secure its long term future. The large size of the available floor area provides the potential to repair and redevelop the Ice Factory for a range of possible uses. Sustainable reuse could bring to life a major element of Grimsby’s heritage as part of a flagship project. The Conservation Statement should be used to guide and inform the future of the Ice Factory and be a vehicle for planning and managing positive change.